We haven't held a contest at the Edge for a while, we'll have skaters coming from all over the area, not just Lincoln. 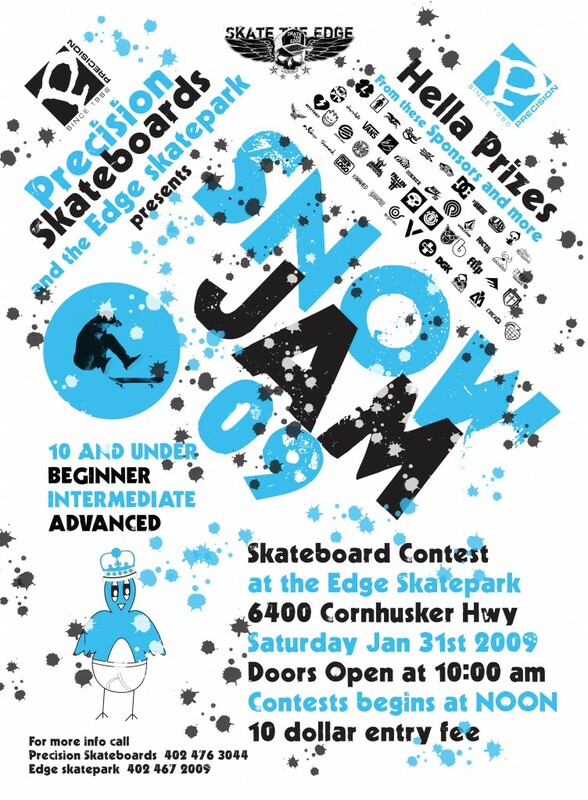 With sponsorship by many of our biggest supliers(skateboard manufacturers), this should be a great event during a lousy time of the year for skateboarding. Come win big prizes and have fun skating your brains out indoors competing and riding with local rippers. Saturday January 31st, 10am to around 4-5 pm. Contest starts at noon. FIL!